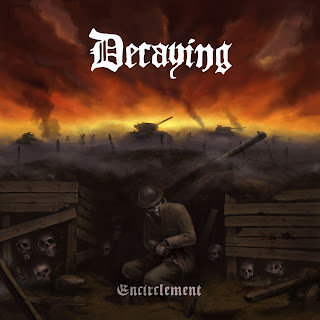 Finland’s biggest metal site IMPERIUMI is now streaming Decaying’s forthcoming and highly anticipated second album “Encirclement” in its entirety. Set for release in January 2, 2012 through Hellthrasher Productions, “Encirclement” looms with a powerful and militaristic menace, like a massive 60-tonne World War II battle tank advancing relentlessly onward, crushing over barriers and trenches without a single ounce of contemplation. A must have for fans of Bolt Thrower, Hail of Bullets and Ashpyx. 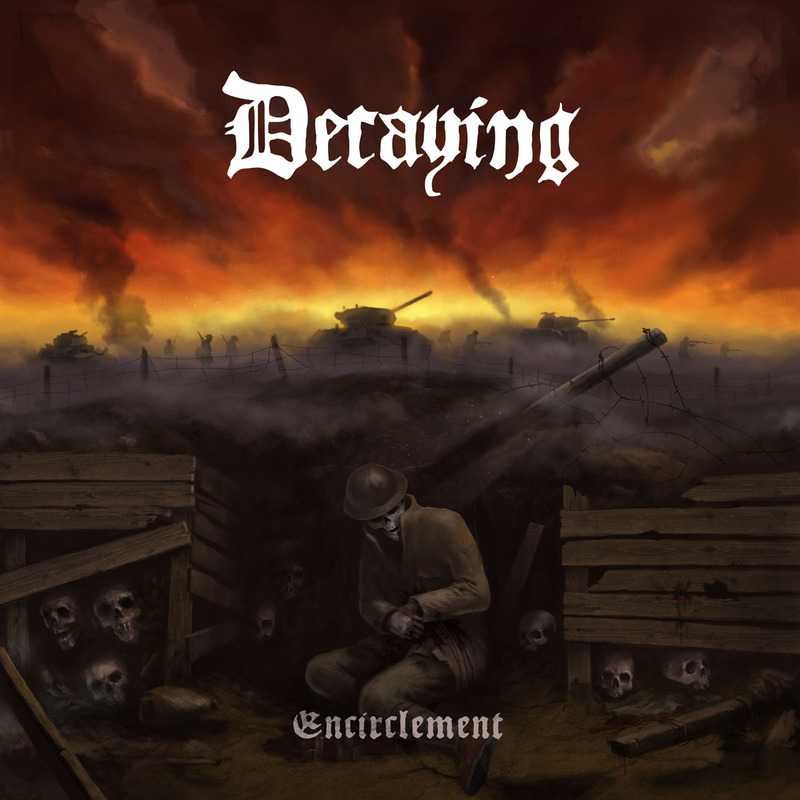 I reviewed Decaying’s EP devastate earlier in the year, and whilst it was a good EP, it felt slightly unfinished. Their full length entitled encirclement is what it should have sounded like. Where previously the band stuck to some old school death metal rules whilst trying to write their own, here they are unashamedly writing their own rule book. Here they mix prog and death metal like water and well… water. It goes together so well and the transitions are flawless. This is a band that knows what they want to sound like and is making all possible steps to sound like they want in their heads. From the opener of the instrumental track Initiation to the straight up death metal of From the Cradle to the Grave (though at first I thought it was a cover of the Cradle of Filth song of the same name) this is a seriously strong musical output. In my review of the EP I said that the track lengths seemed like they varied in length too much, in the full length they addressed this with making the album more flowing by making the tracks mesh together better. If the EP had done this I wouldn’t have said a bad word, now that the album has, I am overjoyed. This is a band I am slowly falling in love with each time I hear something new, and with only a few faults (like some tracks fading out, that really gets on my nerves) I have to say that I loved this album. Heading into the holidays, Versailles Records is excited to announce the final track listing for their forthcoming 2-CD 'No More Tears: A Millennium Tribute to Ozzy Osbourne,' set to cover Ozzy's highlights from Ozzy's entire Black Sabbath and subsequent 30-year solo career. Rockers including Vince Neil (Motley Crue), George Lynch (Dokken, Lynch Mob), Keri Kelli (Alice Cooper Band, Ratt, LA Guns, etc), Mark Slaughter (Slaughter), Chris Poland (Megadeth), Stu Hamm (Joe Satriani band, Steve Vai band), Eric Singer (Kiss, Black Sabbath, Badlands, The Cult), and Derrick LeFevre (Lillian Axe) among others. Along with the aforementioned name players, the record will feature a global collection of many of the hottest rock and metal bands on the rise around the world, from Europe to Japan, South America to the former Soviet block, reflecting The Prince of Darkness's world-wide fan base. 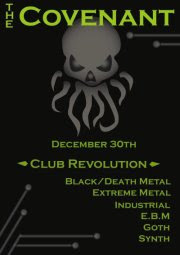 Featured Millennium bands will include: Takara, Leaving Eden, The Madeline Haze, Dirty Rose, Fierce Atmospheres, Kingshifter, Cryptic Chaos, Stone Dirt, W.A.N.T.E.D., Matvey, Shane Doss, Titan's Eve, Snakeskyn Whiskey, Bugsy Parker, Attica Rage, Sage4, Metal Horse, Critical Solution, Skyscreamers, Stalwart, High Voltage, Slant, Critical Solution, Dawn of the Final Day, Nasty Reputation,Kinoath, Ravage, REACT Metal, Tattoo Frank & Jeries, In His Blood, Alfreih, Quartermoc, Black Iris, Cornivus, Endless Vendetta, A New Decree, Annihilation, DrawZZNikk, All But Impossible, AL SOLO featuring Manuri, Martian Honey, Devil, Just One Fix, Mantasuka, Doom Dogs, Erling Solem, Mr. Thumb, Perry Mason, Dennis Deen, and Mr. Murray. 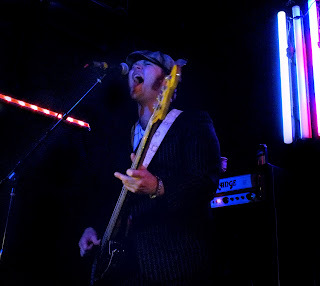 The album will be released on May 8th, 2012 to retail nationally. As the year draws to it’s end and the dawn of 2012 is on the horizon, lets count down and celebrate my favourite albums of the year, oh and bring on the inevitable new years hangover. I had to put this album in here, but it was actually a bit of a disappointment, however I can’t get enough of Vikings and their Metal, so I still loved the album regardless of it’s being a better release in my head than it was in my ears. In at nine is the latest release from Pirate metal pioneers Alestorm. Many a nights rum drinking was done with this album as the soundtrack, it’s just a shame they don’t dress up as pirates live! With Machine Head having been a staple of my music collection for some time I couldn’t not include Unto the Locust, and as much as some people might consider it an unwelcome departure from Machine Heads best I wouldn’t have been as impressed by the album if it had been a copy of previous releases. This album surprised even me, mainly as I’d never been into Within Temptation, then I heard this album and it lead me down the rabbit hole so to speak, and what a journey I went on. What’s not to love about this self titled release, it’s a welcome return to Evanescence and Amy Lee in particular doing what they do best, making damn good music, back on form and a much better album than The Open Door. This album surprised the hell out of me, I am for the most part not a fan of Prog Metal, but this may well have swayed me to change my mind. An absolutely beautiful and brutal album, I suggest people check these guys out. Though technically not an album, I can’t stop listening to this, especially First Of The Year (Equinox), that song sends shivers down my spine every time I hear it. And the video is even more chilling, extremely sinister but awesome at the same time. A great poppunk album and a great band, upbeat and just a lot of fun to listen to, I can’t say much else other than, listen and enjoy! By far my favourite band of the moment, and another awesome album, something I can and have listened to again and again, each time noticing subtle nuances that just make me appreciate it even more. Nothing to do with the fact I got to listen to this album almost a whole month before it’s release, but it is by far and away the standout album of the year for me, Black Stone Cherry have really come leaps and bounds over the years. Some of the most well written songs I’ve listened to are on this album, from the upbeat and fun Blame it on the Boom Boom to the more sinister Such a Shame, this album just blew me away the first time I listened to it and continues to do so. And to finish, heres to a merry Christmas and drunken new year to all our readers! BASICK RECORDS, an independent record label from the UK specialising in progressive metal - has released a free mp3 label sampler, with over forty minutes of music, encompassing twelve different releases from their international artist roster including bands from India, France, America, Canada, Australia and even....Essex. The sampler featuring the talents of Ion Dissonance, Chimp Spanner, Blotted Science, The Arusha Accord, Circles, SkyHarbor, Monuments, Aliases, The Algorithm, Uneven Structure, 7 Horns 7 Eyes and Visions, is free to download in the UK from AMAZON.CO.UK and internationally from Bandcamp. 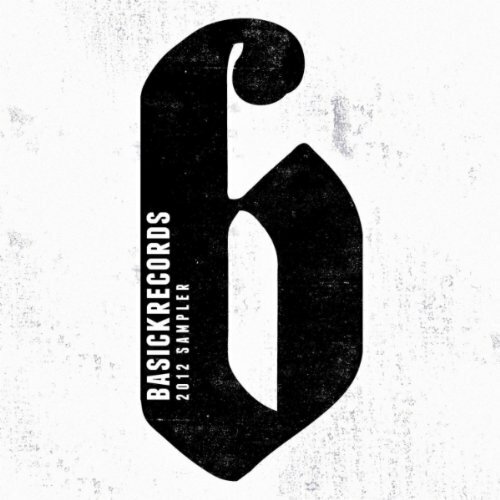 It includes new tracks featured on forthcoming releases from Chimp Spanner, The Algorithm and SkyHarbor which are due out in the first quarter of 2012. BASICK will also host their first label showcase, in conjunction with HMV, in London on February 6th with live sets from Chimp Spanner, Uneven Structure and The Algorithm. For more information on the show and where to buy tickets, please click here. The Fallen Divine on their debut album has provided some of the best melodic death metal I have heard this year, especially from a debut album. The band from Olso, Norway has offered up a beast of a debut album, which needs to be heard. The opening track Dissension sets the tone for the rest of the album, some beautifully melodic sections marred with growled vocals and heavy riffs, and the mix of the two blends really well. 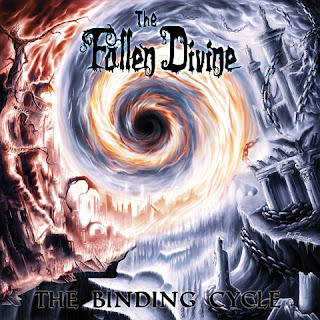 Whilst there are some sections that drag slightly (with all but one of the tracks being over 5 minutes in length) but for the most part this is some really good melodic death metal which fans of Children of Bodom and Dark Tranquillity will no doubt enjoy. There are some elements of Prog music, especially in Fire Lights the Night (Self Ignition) which gives the track a really eerie feel, but it meshes in so well with the rest of the track. I could see this album getting fairly repetitive on heavy repeated listening, as the tracks do tend to mesh into one another, but for the few times I listened to it, something new always did come up, but it won’t be one of the albums you listen to on repeat all day every day. Overall this is a good album, and an amazing Debut for the Norwegian metallers, and proving that Finland doesn’t hold all the talent for Melodic Metal in Scandinavia. 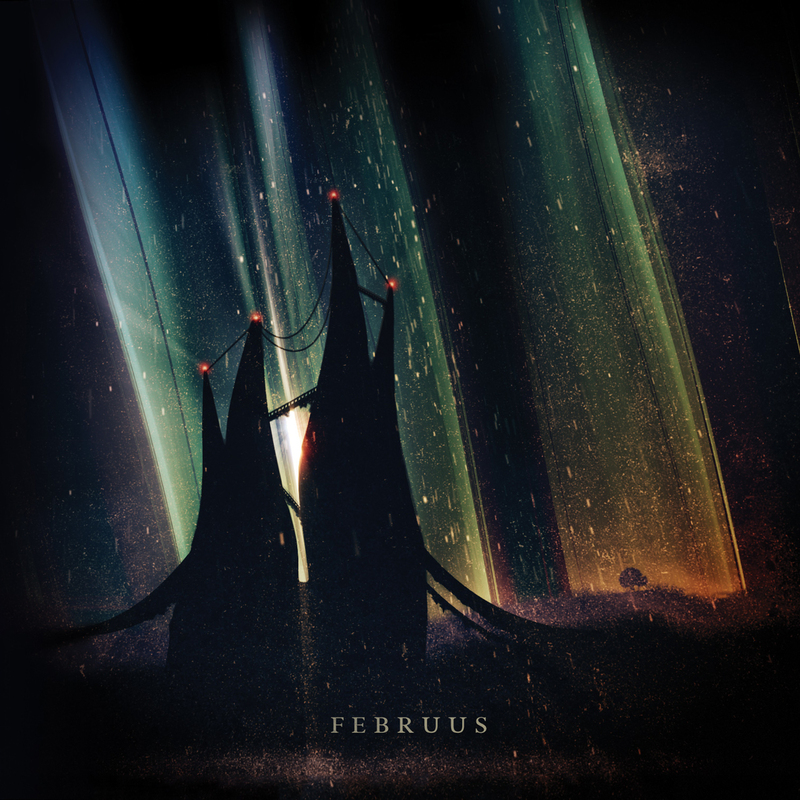 Februus is an interesting piece of work with a thirteen piece concept running across 2 discs. This is the definitive version of Prog meeting Metal with the mix of clean soothing playing and singing mixing in and around the brutal assault of the poly-rhythmic riffs and growls to create an atmospheric album. Opening track Awaken draws you in with some beautiful melodic playing before turning you on your head with the severe savagery of its assault, and for the rest of the album the mixing between the two doesn’t let up and keeps you guessing where the album will be going next. This is what most music is lacking now, you can always tell where the music is going to go now, it’s formulaic. Not with Uneven Structure, with this album they tore up the rule book and wrote their own rules. Having developed this album for over 2 years, it’s little wonder each song is beautifully crafted. Unfortunately there is a downside to not writing to the normal formula as it feels like there are a couple of sections that meander a little bit too long to stretch the album out a little bit. There are definitely a few sections which could have been left on the cutting room floor. Overall however, this is an extremely good Progressive Metal album, and if that’s your genre of choice, this is definitely worth a pick up. For those who love sprawling concepts and not being able to track what’s going to happen next- this should be on your must buy list. For those who aren’t that interested? It’s still worth a listen; it just won’t blow you away. The Animation of Entomology is a weird one. The music is written to go to films (which are available on ElectricElectricTV) and for the music to fully be realised, you need to add the music to the films. The music in its own right is insanely brilliant, with Ron Jarzombek showing his complete and utter mastery of the fret board, mixing clean smooth passages to parts where the music is wrought with intensity that can’t be matched. 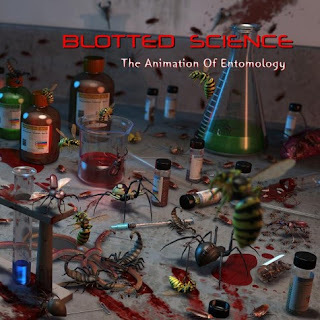 The music is described as “a cross between CANNIBAL CORPSE, SPASTIC INK, and a Bugs Bunny cartoon” in the press release and I have to admit, it’s kinda hard to argue with it. 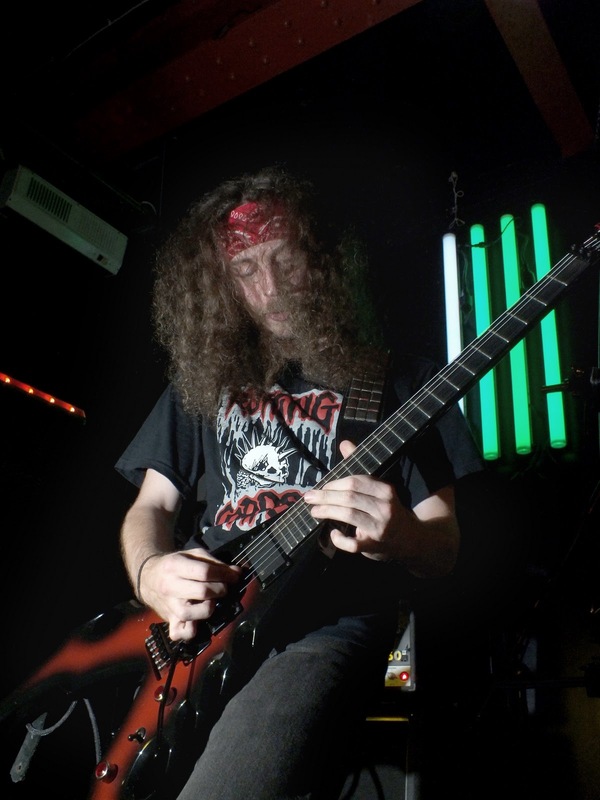 There are sections of pure death metal, which in itself is unsurprising due to Alex Webster (Bassist of Cannibal Corpse fame) on bass, and then there are some fast-paced melodic sections that are reminiscent of cartoon series. However it is when the music is put to the film sections, which the evil genius of Ron Jarzombek shines, as each note is written to show a different emotion in each different section of the clip. To put all those emotions into the insane craziness of the music takes a lot of skill. There were 4 clips released, one for King Kong, One for Slither, One for Creepshow and one for Swarmed, so there is a wide varying amount of emotion in the songs. I don’t actually have a bad thing about this record, and that’s rare as generally I tend to dislike instrumental records, but this one just has so much variance in it, I don’t get bored and could listen to all day. All that’s left now is for him to release a DVD with all he clips with the music and I’d be a very happy man!! It’s really rare to see a split EP now, whilst they were prevalent in the 70’s and 80’s to try and split the cost of the recording budget, nowadays, with all the D.I.Y technology available cheaply, most bands if they can’t afford a studio, do it themselves. 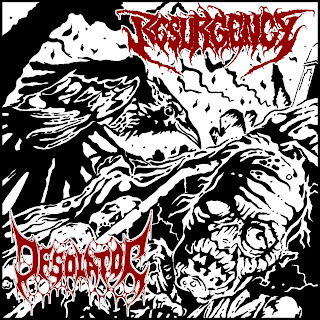 Resurgency are the first band to appear, and they have an old school death metal appeal with a modern touch. The riffs are first rate, the part that put me off was the vocals, and they are just far too generic to be able to stand out alongside all the incoming death metal bands. However this is a rerelease of their 2010 demo “Dark Revival” so if this means that they have something new coming up the pipeline, it remains to be seen. However Resurgency is the better band on the split, as Desolator left me feeling really cold. Really bad production values made me feel like I was sitting in their rehearsal space along with them with muffled earplugs in. This was just the instrumentation. The vocals were absolutely awfully produced. Once you look past that however, the music is ok. There’s nothing inspired here but it’s better than I originally thought. It’s just the production value has let Desolator down completely. It’s very unfortunate as with their intro track Conjuration of the watcher it promises a fairly entertaining ride through some death metal. However once Mass Human Pyre kicks in, it just left me feeling cold on the band. Overall this is a weird one to review, as have never received a split EP through before. To be honest, I would recommend it to get the Resurgency side of it, if you can’t find a copy of the original “Dark Revival” demo, but I’d leave Desolator alone. Demonic Slaughter; you know exactly where this is going. 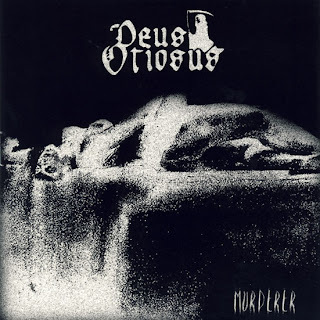 Old School Death and Black metal about, yep, you guessed it, Death, Dying, Decapitation and any other nasty words beginning with D that you can think off. With the opening church bells of Funeral tolling through my speakers, it’s hard not to imagine the iconic riff of Black Sabbath starting but once you detach yourself from that mental jump, it’s a pretty good intro to the song. When the song starts proper you can feel the ferocious intent of the band and their mix of Black and death metal is a poignant combination. With a sound which is a mix of Death and Cannibal Corpse being blended with the early styles of Celtic Frost this is a band that knows it’s target demographic and it is aimed solely at them. They don’t want any bandwagon hoppers, they want the true fans, and this is what makes the band stand out from the recent onslaught of “death metal” bands that have flooded the scene of late and they stand apart from the onslaught of Black metal bands as well. They have just become Demonic Slaughter in their own right. Revelations of Death is the third album by Demonic Slaughter and it seems like they have found their trademark sound. This is the sound which defines them. There is very little to fault about this album and I look forward to seeing more of this band in the future. Overall this is a brilliant album and one for all the death and black metal fans out there. I definitely recommend it to anyone who has even a passing interest in the genres. This one comes in at number 10, as it just so plain weird and caught my attention, unlike so many other artists out there at the moment. Whilst it may not be a long EP it packs in so many idea’s that more conventional artists couldn’t hope to match in about 3 albums. Nightrage’s Insidious comes in at 9 as its powerful melodies and riffs caught the attention of my ears and made me carry on listening to it after the review. It combines heaviness and melody absolutely perfectly. Also it has many guest performances which flesh out the music as well. Vallenfyre made my list as they produced something so old-school that it defies time. Such an amazing piece of old school extreme music that it knocked me flat. Although the circumstances leading up to the formation of this band weren’t pretty, that hurt and anger has been fuelled into this music and it is a roaring beast that needs to be heard. Now I know I will get some flak for this one, but this band has helped me through some difficult times and it is one of the albums that I haven’t been able to stop listening to. Yes, they may look like Kiss and Motley Crue rip-offs but to me at least their music is inspiring and helps people keep on going. That to me, makes them worthy of being in this list. The latest band from Pin of Sikth fame released their debut EP earlier this year, and it is a stormer. Absolute technical skill mixed with some brilliant melodies make this an EP to remember. Definitely one of the best releases of the year. Wednesday 13 made a brilliant return last year with Murderdolls and this year brought a return of his solo project as well, and with these it brought a return of the horror punk styling he is known for, after the alt. metal of Skeletons. A brilliant piece of fun music. The third album from the lads in Evile is an absolute storm of metal, which assaults the listener’s ears before healing them with a beautiful ballad before ripping them into shreds yet again. This is a thrash masterpiece. The latest offering from Nightwish is astounding. For all those naysayers who thought the band was over when first Tarja was fired, then when Annette had her breakdown on stage, they were left sorely disappointed by Nightwish’s latest. It is a brilliant piece of gothic metal and I personally cannot wait for the accompanying film. For the sharp eyed among you, you may have noticed there is no Number 2 in my list. This is because I can’t decide between American Capitalist and In Waves as my album of the year. They are both amazing and they both helped me through some dark times. To me, these are the epitome of music at the moment. Well I hope you all enjoyed the list, please feel free to comment and tell me who you think should and shouldn’t be in the list. As soon as the opening track kicks in, Deus Otiosus show that there willing to take no prisoners and show no quarter when the opening screams of I Have Seen Him Slay ripping through the speakers you know they mean business. 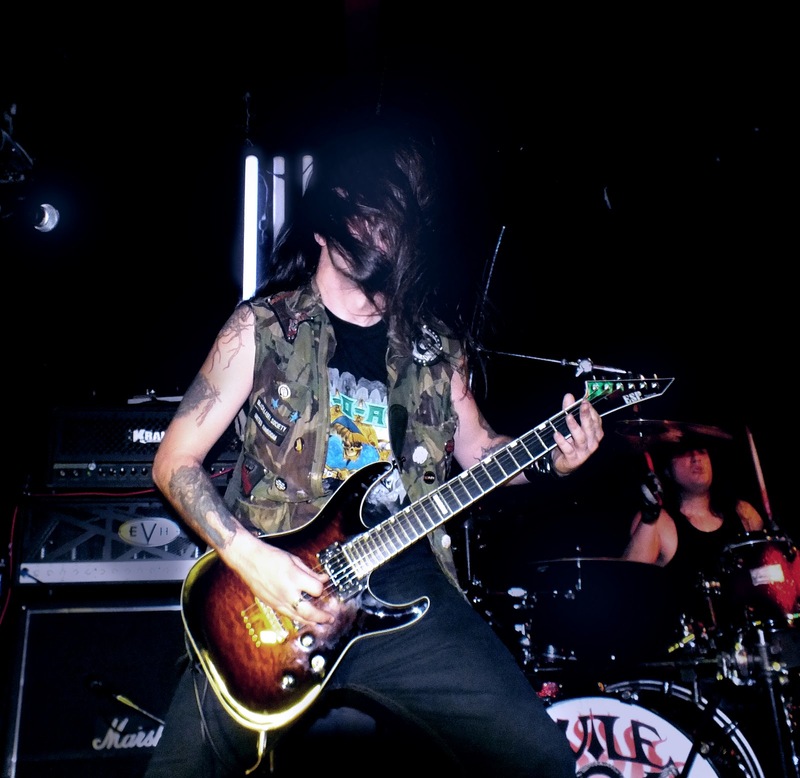 With their inspired Death Metal sounding like a mix of Dethklok and Cannibal Corpse, they show they are willing to fight to take their music to the next level. With track names such as Thousand Arms of the Dead and Ye Pigs of Little Faith alongside the title track, this is a band who won’t sign about bunnies (unless there being brutally decapitated). This is a band whose lyrics are inspired by violence and the music fits perfectly. This is a band who you want to be in the pit to, heandbanging away. The one main thing that disappointed me was the production values of the record, whilst I understand this is their debut album, I wish the vocals were produced a bit more cleanly, so they cut through the mix rather than being distorted. Dawn of the Sociopath. The title says it all really, an album featuring light fluffy pop melodies this won’t be! This is an album chock block full of blast beats, heavy guitars and guttural vocals, and it is as heavy as a bulldozer. Whilst this is playing, you can hear their influences pretty clearly, with Lamb of God being on top alongside bands such as early In Flames and other death metal acts. The influences are pretty strong on their sleeves, which while it is good to see a band paying homage to some bands, The music needs to be blended a bit better, as there are typical Lamb of god riffs in one song before the next having more of an In Flames sort of feel. This isn’t a bad thing as I love these bands, would have just liked a bit more originality. However the brutality of this band cannot be denied and their brutal assault on the ears leaves them ringing and your mind beaten. In a good way of course. 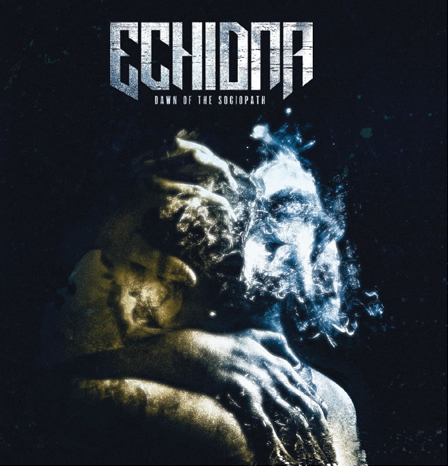 Which with this sort of music, it’s all you can ask for really and Echidna does it really well. With song names such as Commanded by Demons and Bloodlust alongside the title track it’s fairly easy for the listener to see where the music is heading. This is death metal at its finest. Echidna are a relatively new band and I’m really looking forward to where the band is heading. The Covenant is dedicated to bringing you the best of death/black and extreme metal, ranging through all the sub genres and bands. When arriving at a party and being greeted with a free complementary shot of Jagermesiter, you know you’re in for a good night! The tickets for this event sold out within four hours, and Metal Junkie were privileged to be going. When we first arrived, the DJing skills of Rebel L (from Terrorizer magazine) were heard filtering through the venue. I would just like to point out that Elektroworks in Islington is one of the weirdest venues I have ever been to, with what seems like lots of interconnecting warehouses being made into a venue. I digress, the DJing from Rebel L. which would play between each band started off the night, and her choice of music was extremely well picked for the night, with some metal versions of Christmas songs, and some absolute classics such as Poison’s Talk Dirty To Me and Iron Maiden’s Running Free blasting through. At 9pm, the first band Savage Messiah, came on and having only heard their latest output I was pretty overwhelmed with what I heard. This was Power Metal at its finest. 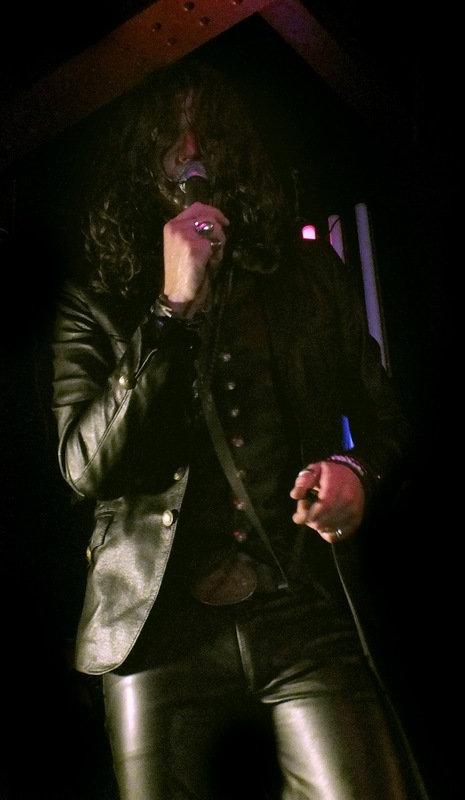 Vocalist Dave Silver can hit every note on the record with near perfection. They also provided a nice variance in their set list with some slower songs and some absolute belters. Put all off this alongside being extremely tight, then this is definitely a band to keep an eye on. I was just disappointed that the crowd was pretty small and didn’t seem that into it. After Savage Messiah, it was back into the other room to get a drink and to listen to some DJing from Rebel L for an hour whilst waiting for Evile to begin. 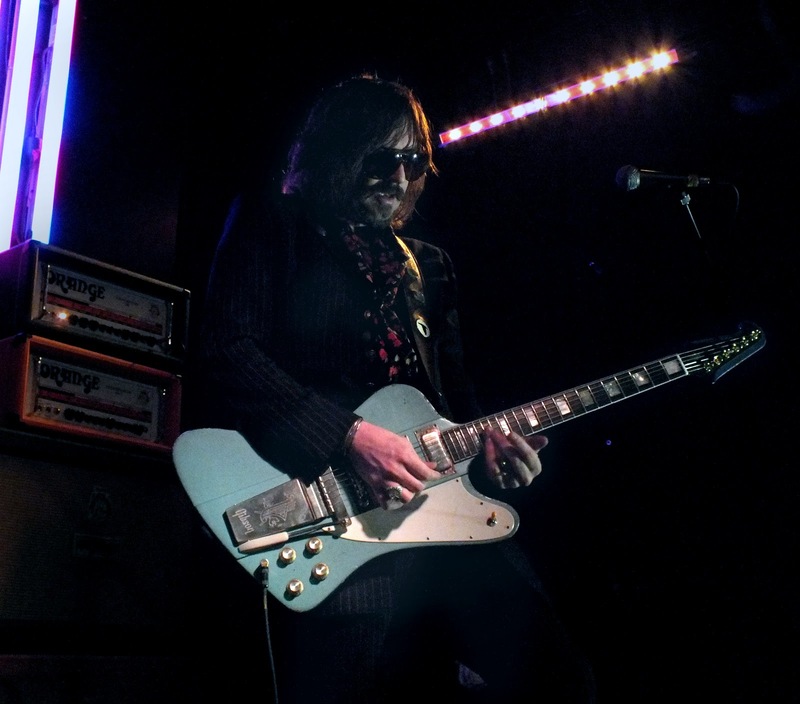 When Rival Sons did come on stage, straight away there were technical difficulties with Scott’s guitar, which delayed the start of the show by a good quarter of an hour. When they did get going the music was absolutely top notch with everyone performing at their best. This confused me as when the band weren’t playing in between songs, it seemed like they were struggling a lot, especially vocalist Jay. It was as iff performing took all the energy out of him. After a quick look on the internet on my phone, I discovered the reason. The man had 2 cracked ribs and was still continuing on the show. This increased my respect for them tenfold, especially as his voice when singing was absolutely amazing. After Rival Sons amazing headline performance it was to head back into the other room for a final DJ performance from Lady Starlight and a final drink before heading out. Lady Starlight focused on a lot of the 70’s and 80’s metal bands which after Rival Sons followed on perfectly. The few remaining stragglers at the party were presented with the head of earache records getting a birthday cake, and a good old sing along of Happy Birthday. This was a nice climax to the evening before heading out to wait for the first tube back home. Definitely an amazing night and one I am proud to have been invited to! Shadowside received the Rock Show 2011 Award at a ceremony held at Capital Disco, in Santos, Brazil. At the event, that happened for the third consecutive year, the band was represented by lead singer Dani Nolden and guitarist Raphael Mattos and got the "Best Metal band in 2011" award. At this moment, Shadowside are working hard on promoting their already highly praised "Inner Monster Out" album, produced, mixed and mastered by Fredrik Nordström (In Flames, Arch Enemy, Hammerfall, Dream Evil) featuring vocalists Mikael Stanne (Dark Tranquillity), Björn "Speed" Strid (Soilwork) and Niklas Isfeldt (Dream Evil) on the title track. Music video "Angel with Horns", first single of the new album, overcame the 106000 views mark on YouTube. Such expressive numbers had the material appear on the most seen, most commented, best rated and most added to favorites videos on the site. 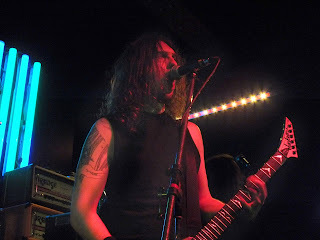 Check out the video of "Angel with Horns" and tour footage at http://www.youtube.com/user/ShadowsidePress7. Rock Show Award is one of the most important in Brazil and involves all Rock subgenres as well as Hip Hop. Photos of the ceremony are available athttp://www.facebook.com/shadowsideband. 2011 has been an absolutely fantastic year for Melbourne based CIRCLES and to round it off in style the band has released one final announcement. 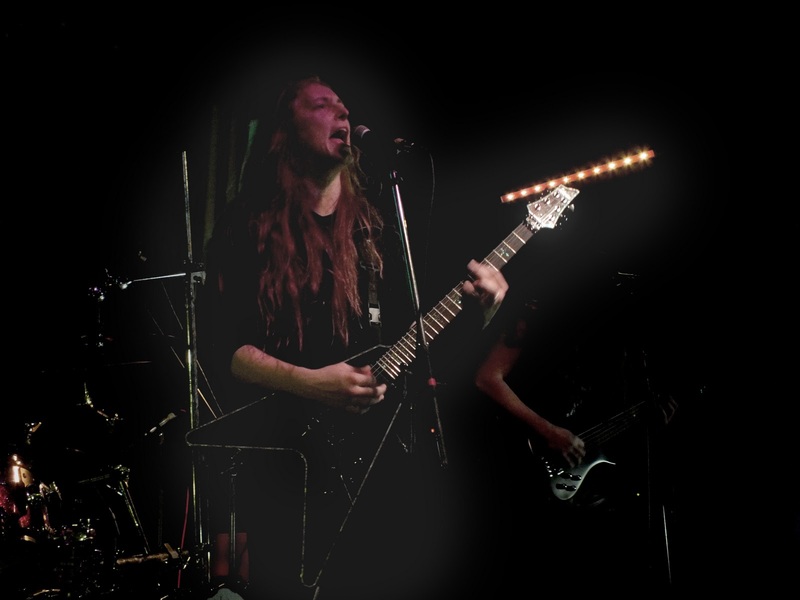 During the first few months of 2012 the band will be taking their unique brand of progressive metal to the road, in a string of dates across their native homeland of Australia, the first of many tours for the band next year. Since their critically acclaimed debut EP was released in May this year via UK based label Basick Records, CIRCLES have been hard at work building their profile worldwide. Their videos for 'Clouds are Gathering' and 'Eye Embedded' were premiered internationally by Metal Injection in the USA and Metal Hammer Magazine and Scuzz TV in Europe with both videos subsequently reaching the No.1 spot on Scuzz TV, their EP and single reached No.1 and No.5 on the Australian Metal iTunes chart simultaneously, sweeping the review boards worldwide with praise and picking up airplay worldwide including national airplay on BBC Radio 1 and TripleJ and scored features in Metal Hammer Magazine, Kerrang!, Blunt, TripleJ Mag and Terrorizer, all whilst continuing to play countless gigs and begin work on their follow up record! 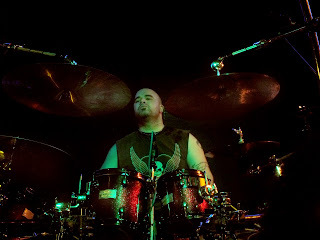 CIRCLES drummer Dave Hunter commented: "This year has been so fantastic for us, we've spent 2011 putting a lot of the groundwork in and now we can't wait to be out on the road again. It's so much fun to see those fresh faces in the front row singing their guts out and this time we've got some surprises up our sleeve with new tracks that we'll be road testing exclusively to our Australian fans, so you don't want to miss this. We also get to share the stage with our good friends Humality and The Schoenberg Automaton who both absolutely blow us away." Check CIRCLES website and Facebook regularly for updates.